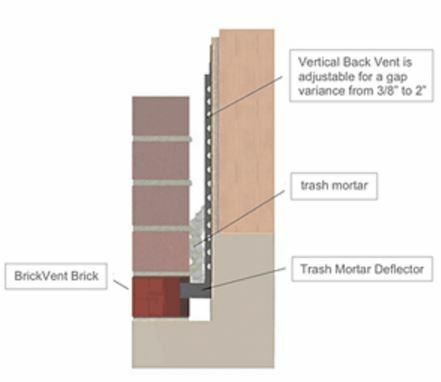 Figure 1: Trash Mortar Deflector ensures that BrickVent will provide maximum ventilation of the air space. 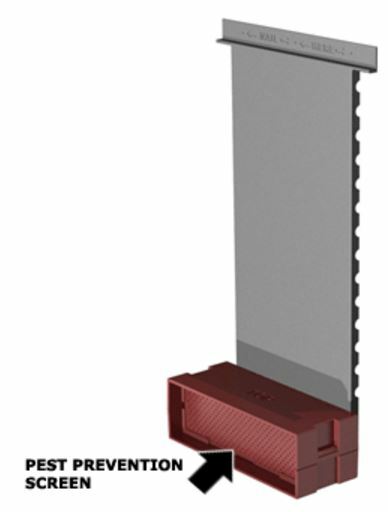 Because of the trash mortar that falls down behind the brick into the air space as the brick wall or veneer is being laid, other weep products on the market are likely to become clogged. When they are plugged with trash mortar, most weep products are no more effective for releasing the moisture than a drinking straw is when you plug one end with chewing gum. So, in an effort to keep them from being clogged by trash mortar many builders began incorporating a loose fiber “net” type product that is to block the trash mortar from clogging the weep insert. Unfortunately, the trash mortar netting has its own problems. It may not be installed correctly and trash mortar still clogs the weep units. Although the netting comes in a few sizes, there may be too big an air gap between the brick and the exterior of the underlying structure. This allows mortar to settle between the netting and the weep holes, rendering the netting, and thus the weep holes, ineffective. 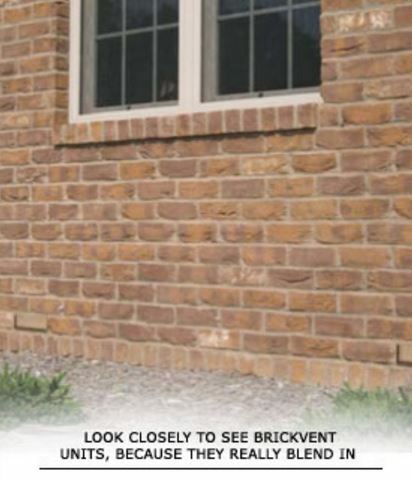 Too small an air gap and the netting is likely to push out the brick being laid, causing a bulge at the bottom the wall, which is unacceptable to a quality masonry job. However, even if the trash mortar netting is protecting the weep units from trash mortar clogging them, the tiny orifices of the weep units will allow for very little air flow.